Gilbane provided construction management services on this multi-purpose recreational center that will host indoor track and field events for the first time in college history. Architect: Moody / Nolan Ltd. 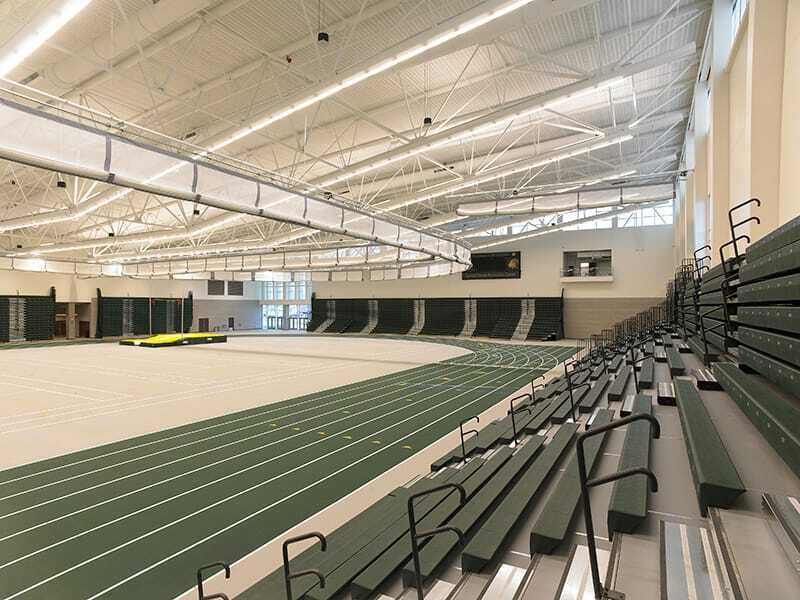 The State University Construction Fund selected Gilbane to provide construction management services for the Special Events Recreation Center (SERC) located on the College at Brockport campus in Brockport, New York. 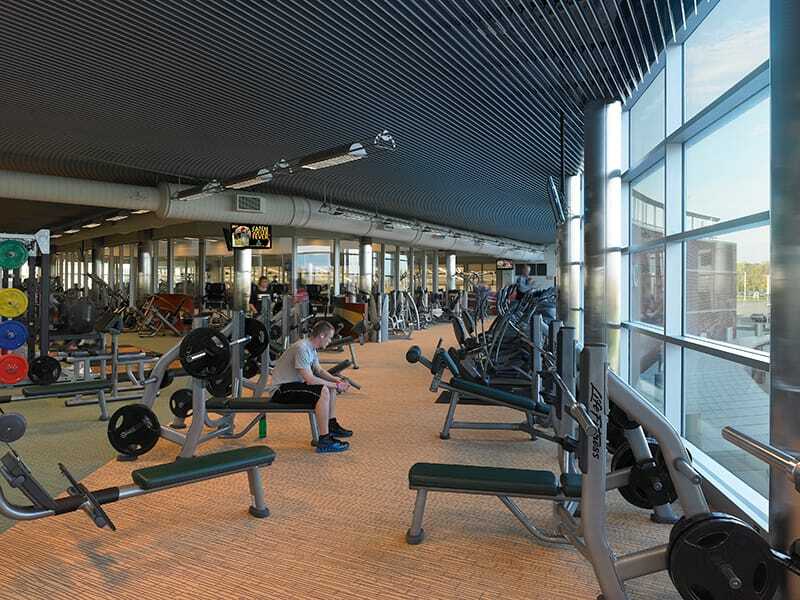 The SERC facility is a multi-use center for academics, concerts, recreational and sporting events and community activities. The facility provides 1,200 retractable seats with the capacity to accommodate 5,500 for special events. It features an indoor track, fitness center, multi-purpose room and support areas. Understanding the need to enhance the campus experience while promoting environmental stewardship and energy efficiency, the SERC was designed and constructed to earn LEED-NC Silver certification. 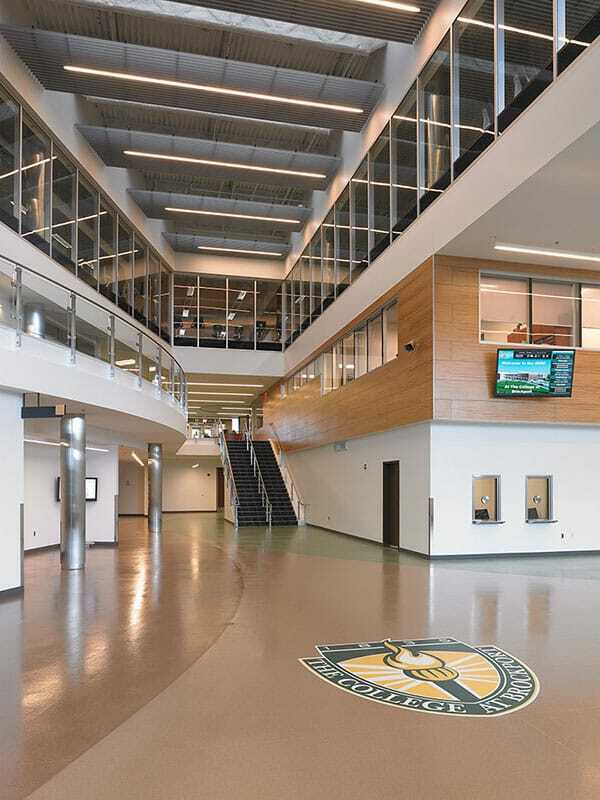 The College at Brockport SERC is the ninth project successfully completed by Gilbane for the State University Construction Fund (SUCF) over the course of 10 years.